In the past few weeks I’ve completed two more pastel drawings that are based on two pencil drawings I did of the same subjects. My goal for both pieces is to give them a tonalist feel, and have the color, lighting, atmosphere and mood draw the viewer into the scene. 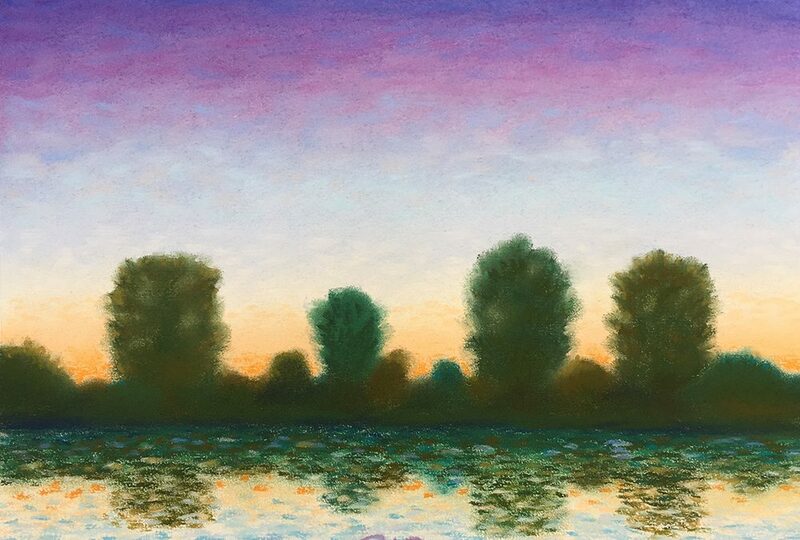 The first pastel is an imaginary landscape view across a river at dusk. The composition features a treeline on the far bank of a river in the middleground, backlit with the twilight sky in the background, with the trees and sky reflected in the water in the foreground. I used cooler blues and greens for the trees and riverbank, and a purple-to-orange gradation for the background sky area. I reflected those same colors in the water area at the bottom — my goal was to use the contrast of the cooler, darker trees against the warmer orange sky background to create a peaceful mood. 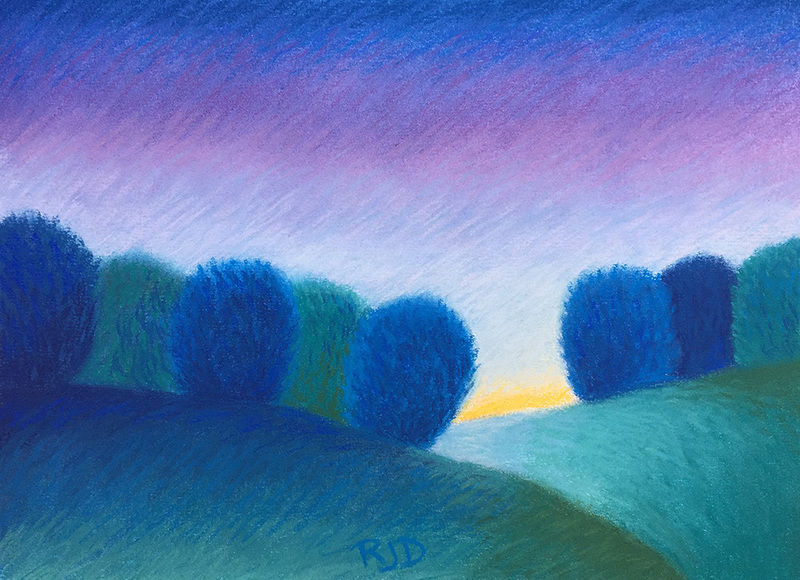 The second pastel is another imaginary landscape done in a contemporary tonalist style. It is of two hills and bushes at dusk, with the hills and bushes rendered in cool blues against a sky background with a blue to purple to yellow gradation. The yellow sunset highlight in the opening between the two sets of bushes serves as the piece’s focal point. I tried to use a layered composition in combination with a contrasting color palette to hopefully create an interesting and eye-catching piece. The finished pastels are framed them in an 11x14 white frame with a white mat that has an 8x10 opening. 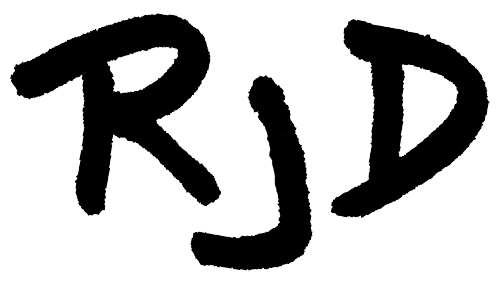 If you’re interested in buying any of my pastel drawings, they’ll be available here for sale on the site soon! The next step will be to turn these two pastels into 18x24 oil paintings, I’ll do a post about those paintings when they’re complete.